"The main protagonist, Yugi Muto, is a lonely boy who loves playing the game but was never blessed with talent. After finding and solving the Millennium Puzzle, an ancient and powerful artefact, Yugi unknowingly became host to Dark Yugi, the spirit of the long deceased Pharaoh Atem. The Pharaoh’s spirit possess and takes control of Yugi in times of danger, he is able to become one of the greatest Duel Monsters players in the world." 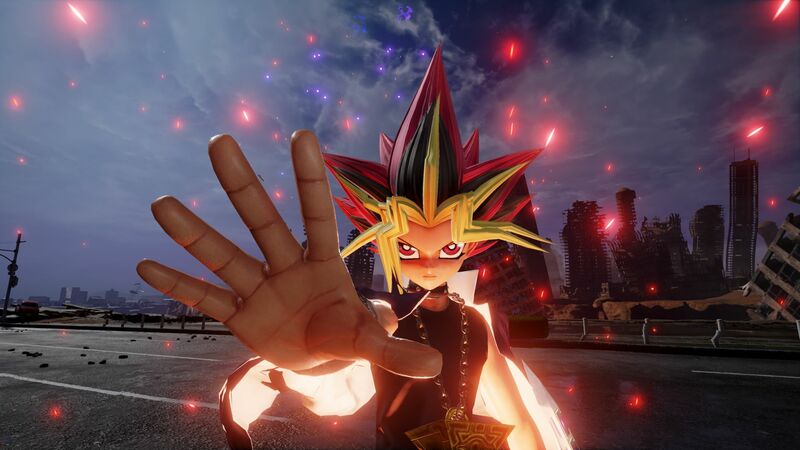 Bandai Namco surprised many with the reveal of Jump Force earlier this year, showing off an energetic fighting game with familiar gameplay but more realistic visuals than usual. One Piece, Dragonball Z, and Naruto were the only series shown off at the reveal, but the game's roster has expanded with Bleach and, now, Yu GI Oh. Jump Force is slated for a 2019 release and still has a lot of ground to cover when it comes to the individual franchises that hit the Shonen Jump pages. This is an incredible love letter to manga fans by Bandai Namco and it will be exciting to see the reception once it launches. Stay tuned to Shacknews for future updates.